We all need a break after a hard week. 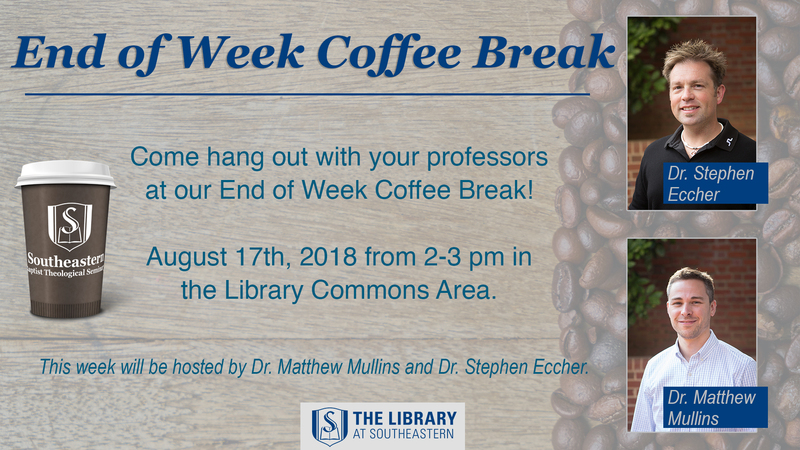 Come by the Library and hang out with some of the faculty on Aug. 17th, 2-3pm. This week, Dr. Stephen Eccher and Dr. Matt Mullins will be hosting this event.